Find out what support and materials are available to new teachers and lecturers. 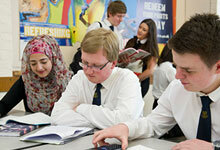 Our subject search lists all of SQA's qualifications. Have a look through the available courses. Ushare brings you open learning resources recommended by lecturers, teachers and learners to support SQA's qualifications. SQA Connect is the portal allowing approved centres and authorised organisations access to a range of services provided by SQA. Our programme of support to develop your understanding of the National Standards required for assessment. Includes exemplar materials. We are committed to supporting and enhancing Continuing Professional Development (CPD) for our own staff, our appointees, and staff in our centres.